If you’re the owner of one of the hundreds of watch brands whose territory is just off screen and well out of the spotlight, it must seem that the world really is ill divided, because regardless of what you do, any recognition or even coverage is hard earned, and there’s no standing still, because next year’s already looming, even though it’s just turned Springtime. It’s an inescapable perception, and the envy of the watch industry that some brands only need to metaphorically shift their sitting position in order to capture the headlines. But those are the spoils of success, and it’s been the same in the watch industry as is in the world of celebrity, where securing the services of legends like Brando, Newman, Hepburn and Taylor virtually guaranteed box office success, above the thousands of talented hopefuls without whose supporting roles “none of this would have been possible”. Look at Rolex for a prime example. One of the most recognised brand names in the world, Rolex is universally known and acknowledged as a symbol of luxury, even by those who have never handled, or maybe even seen one up close for themselves. Never mind being able to identify a rare bird by a minute detail or anomaly, which can make the difference between standard production and a collectable grail, Rolex understand fully that every little detail tweak will be the subject of thousands of pages of analysis and comment from fans and avid collectors alike. 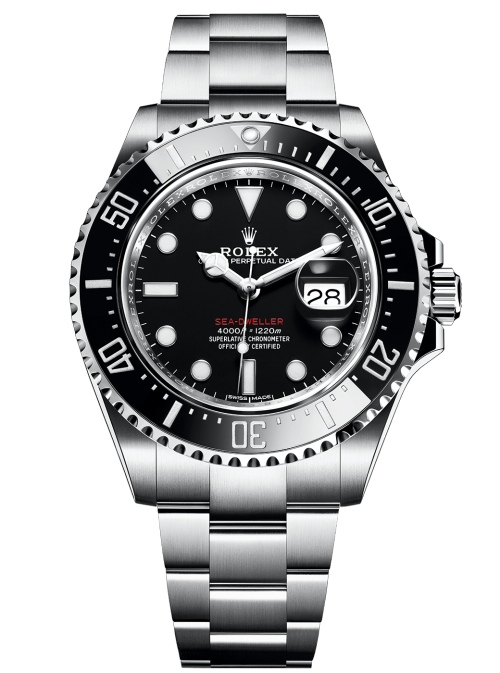 When you do enjoy that kind of status, and you know how to work it, then instead of making sweeping, and potentially unpredictable changes, brands like Rolex can concentrate on updates that are so subtle, to the average eye, they might not be there at all. 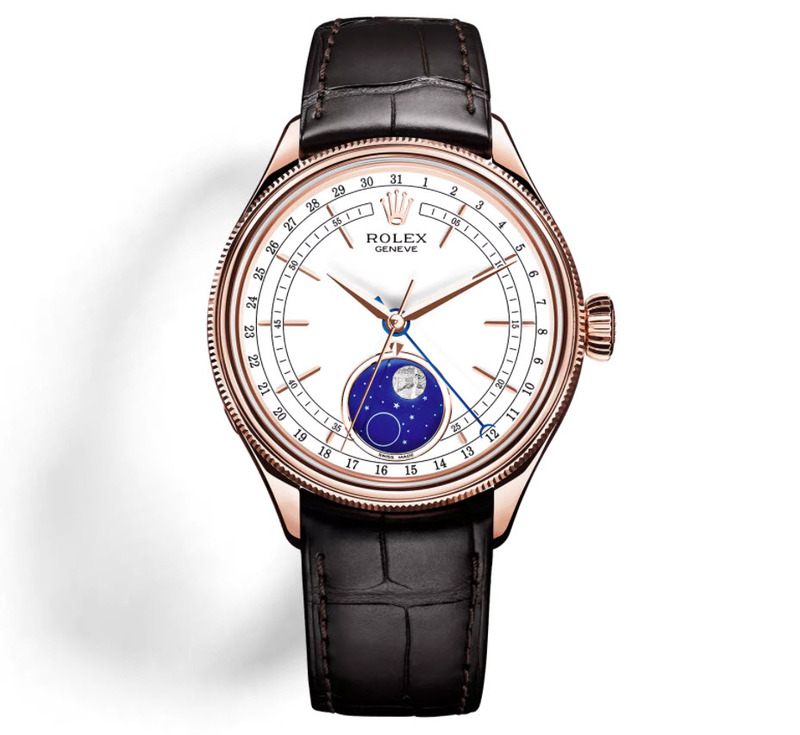 But to the Rolex fan tiny tweaks are big news indeed, and every springtime in the Swiss city of Basel, when the massive Baselworld expo becomes the hub of the watch industry for a week, the watch world holds the front page for the news from Rolex. And with good reason too, because as ever there are some pretty special new models unveiled, and even one with a layout and function not seen on a Rolex for nigh on fifty years! Now that is big news, but as usual with Rolex, it’s the minutia which has the tongues wagging. 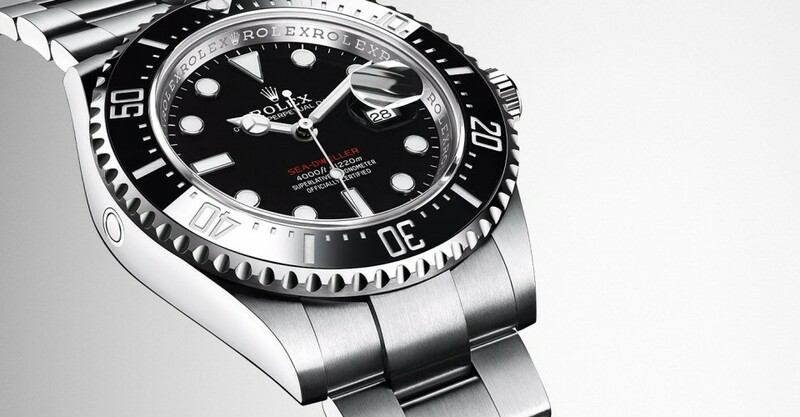 Speaking of the half-century, this year marks the fiftieth anniversary of the Oyster Perpetual Sea-Dweller; a watch with which Rolex rewrote the rulebook for men’s watches thanks to its robust, go anywhere construction, its versatility as a handsome and luxurious sporty wristwatch, or with its mighty 4,000ft depth range, a very serious piece of kit for the more demanding professional. For the anniversary year the 2017 Sea-Dweller is presented in a slightly larger 43mm case, in highest grade 904L stainless steel. Although very similar to its immediate predecessor, thanks to its larger size it’s actually all new, right down to the Rolex Calibre 3235 self winding movement inside. It does carry over the recently introduced Cerachrom bezel, but for the first time on any production Sea-Dweller, the ‘Cyclops’ date magnifier appears on the sapphire crystal, and with a little detail which diehards will instantly recognise; the Sea-Dweller is in red, just like the 1967 original. For many, the Rolex Cosmograph Daytona chronograph remains one of the most desirable ‘destination’ watches in production today. Each iteration is meticulously scrutinised by aficionados and discussed obsessively on specialist websites in every language. 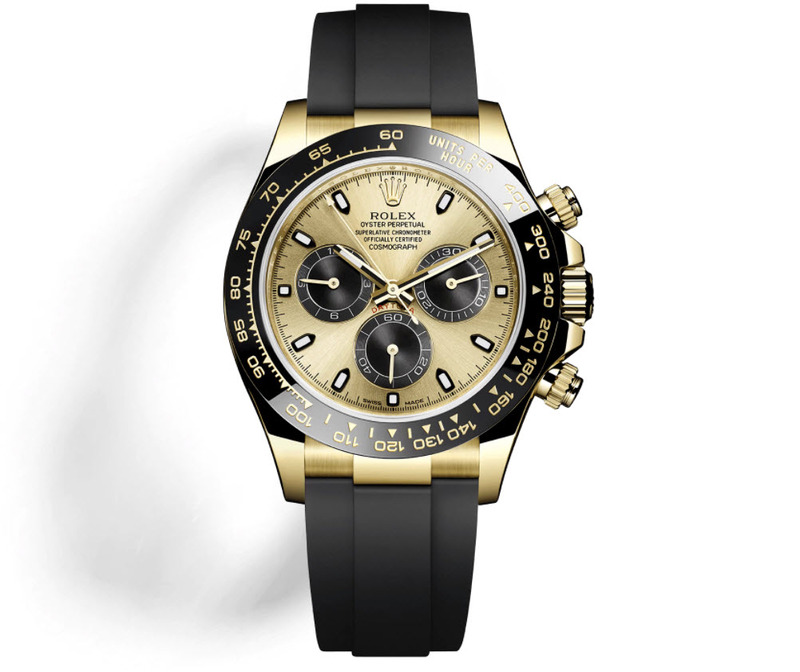 For 2017, Rolex have unveiled a trio of new Daytona references, which for the first time combine exotic metals with their Cerachrom ceramic bezel insert. Available in 18kt yellow or white gold, as well as their own proprietary Everose gold, with matching dial colour ways, all three are presented on the black Oysterflex strap which accentuates the sporting heritage of this iconic design. In terms of popularity, the Oyster Perpetual Datejust is far out in the distance, and this year the Rolex classic sees new entries in both the 41mm and the 28mm collections. 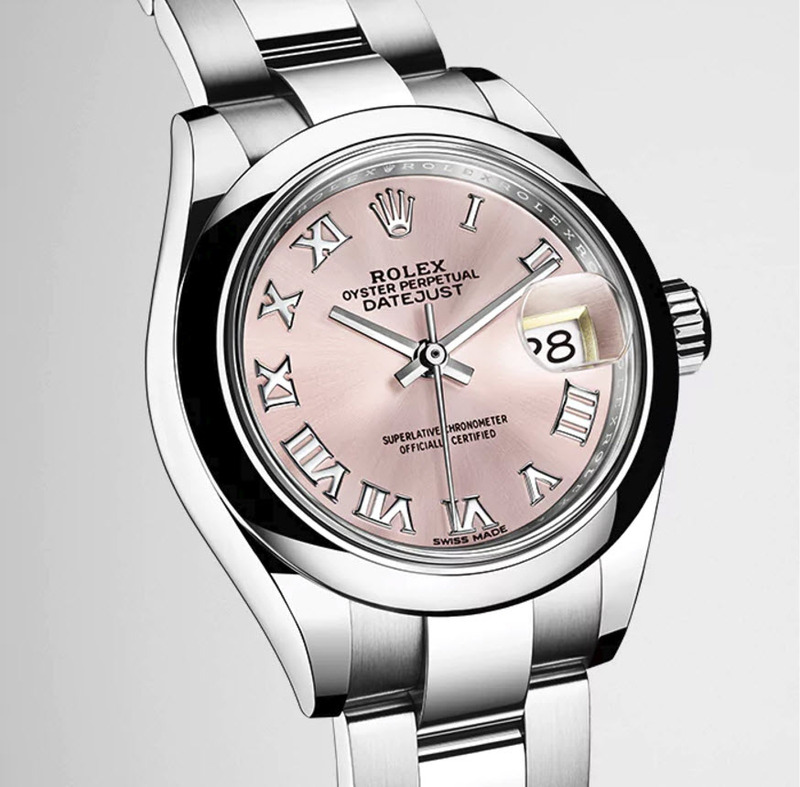 Encased in polished stainless steel on a brushed and polished link bracelet, the 28mm Lady Datejust becomes even more feminine with a shimmering pink dial, which is new to this size. Of the larger 41mm, a midnight blue dial is the perfect foil for the sharply fluted bezel and broad shouldered lugs, manufactured in the Rolex patented white gold and stainless steel alloy, Rolessor. The same new calibre 3235 self winding movement as found in the Sea-Dweller is fine tuned to the nth degree, meeting not only the stringent accuracy requirements of a certified chronometer (COSC), but additional in-house testing and enhancement. Blue is in fashion in Geneva it would seem, as the dual timezone/GMT Sky-Dweller also becomes available in a similar Rolessor case and blue dial configuration to the Datejust above. Rotating at half the speed of the hour hand, the off centred 24 hour disc provides an instant reading, and although only five years in production, the Sky-Dweller’s stylish solution to keeping on top of two time zones has wooed the hearts of many international travellers. While all of the above new arrivals certainly had the desired effect of being the first port of call for visitors to the fair, and dominating the early reports from Baselworld, still there was no bone-fide show-stopper among them. But it was there alright; they were simply looking in the wrong place. To many the mention of the Rolex name automatically conjures the indelible image of a solid, go-anywhere wristwatch, but the lesser known Cellini is an elegant and classically styled dress watch collection, with few of the signature traits of its more famous stablemates, and so, it was here that Rolex chose to surprise this year – and surprise they did, with the unveiling of the superb Cellini Moonphase. Encased in 18Kt Everose gold, Rolex have revisited a complication not seen from the company since the 1950s, this gorgeous piece boasts a white lacquered dial, with the Rolex crest breaking the minutes track at the 12, and a blued steel hand with crescent tip indicates the date on the outer ring. The moon is depicted on a deep and lustrous blue enamel moon disc, which rotates through the lunar cycle every 29¾ days. 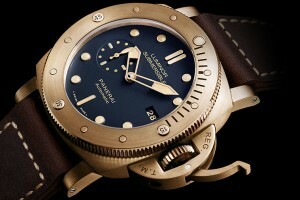 Thanks to the complex gearing within the new movement, it will only require a manual adjustment once in every 122 years. There was one other new piece too, which in fairness would have been difficult to miss, and that came in the form of the 2017 Yacht-Master 40, which in a case of 18Kt Everose pink gold, was topped off with a bezel set with multi-coloured precious stones. All of these new pieces will be arriving into our Grafton Street store, and you can be sure of a warm Weir & Sons welcome to see them in the metal for yourself. We would recommend making an appointment so you can enjoy an undisturbed preview of the 2017 Rolex novelties. Our thanks to Johnny McElherron for his interesting and informative review of Rolex Novelties 2017.